One hundred years after Jutland, the first and largest engagement of dreadnoughts in the twentieth century, historians are still fighting this controversial and misunderstood battle. What was in fact a strategic victory stands out starkly against the background of bitter public disappointment in the Royal Navy and decades of divisive acrimony and very public infighting between the camps supporting the two most senior commanders, Jellicoe and Beatty. Based on the latest research, The Unfinished Battle retells the story of the battle from both a British and German perspective, clarifying the context of Germany s inevitable naval clash. It also traces the dispute known as the Jutland Controversy that ensued until Admiral Jellicoe s death in 1935. 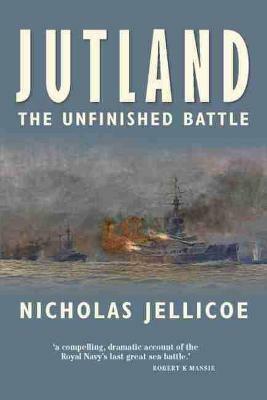 Author Nick Jellicoe is uniquely placed to tell the story of Jutland. His naval connections are strong: his father, the second Earl Jellicoe served as First Lord of the Admiralty while his grandfather, Sir John Jellicoe commanded the Grand Fleet for the first two years of the war, from 1914 to 1916. Sir John was famously described by Churchill as being the only man who could have lost the war in an afternoon. "